Hello everyone, and welcome to the Open Forum, which is hosted by Kotaku's reader-run blog, TAY. This is a place to talk about life, video games, or anything else, so feel free to hop in and join in the topic discussion, or comment about anything. Then, when you're done, feel free to peruse the articles onTAY and TAYClassic. Is this your first time on TAY or the Open Forum? Then check out this handy TAYTorial! Also, don't forget the new IRC Chatroom! Let's just get this out of the way: BRAVELY DEFAULT! It's so good. Dat soundtrack. Who has it? What's your favorite job class so far? I am partial to monks and ninjas, but every class has something cool about it. Having fun being so damn poor all the time? I didn't want to make the forum about Bravely Default, though, because not everyone has it. Dyram and I finished watched Samurai Champloo over the weekend, and I really loved it. It was his second time through, and a lot of people in my samurai film class (yep) spoke highly of it, so curiosity got me. It was such a special show, and Dyram and I said we both wished there were more anime that were so Japanese. 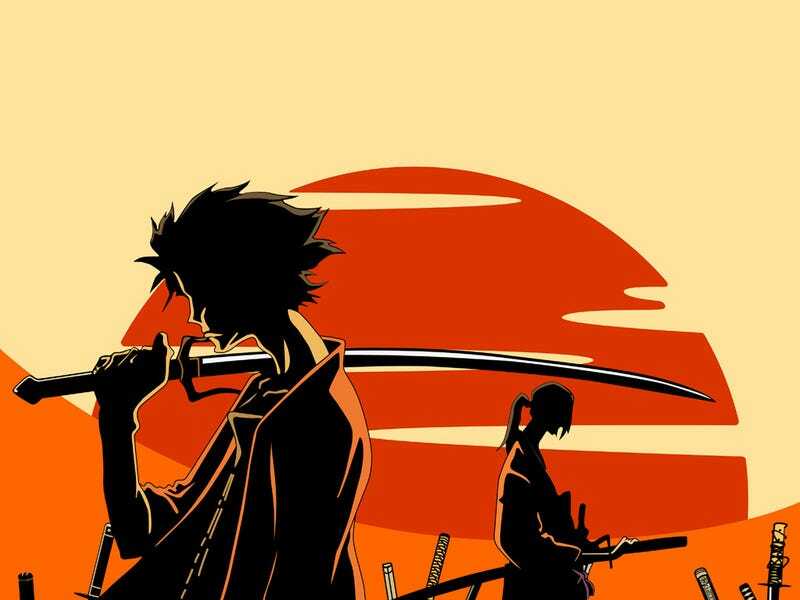 It's not often that I learn so much about Japanese history from an anime, and Samurai Champloo was the inspiration more many a more detailed search about some topic or another. Despite it being a silly and episodic show at times, that Japanese focus is a reason I have a soft spot for Hell Girl, too. What's something you'd like to see more in anime (or regular TV shows, turn in your Otaku card now)? Talk about this or anything else below!